It doesn’t happen too often that we cross the Atlantic, but when we do, it’s dense. We’re gonna hit the USA & Canada this month: 4 cities in 6 days = 5 lectures & 2 workshops. Montreal. Baltimore. New York. Detroit. 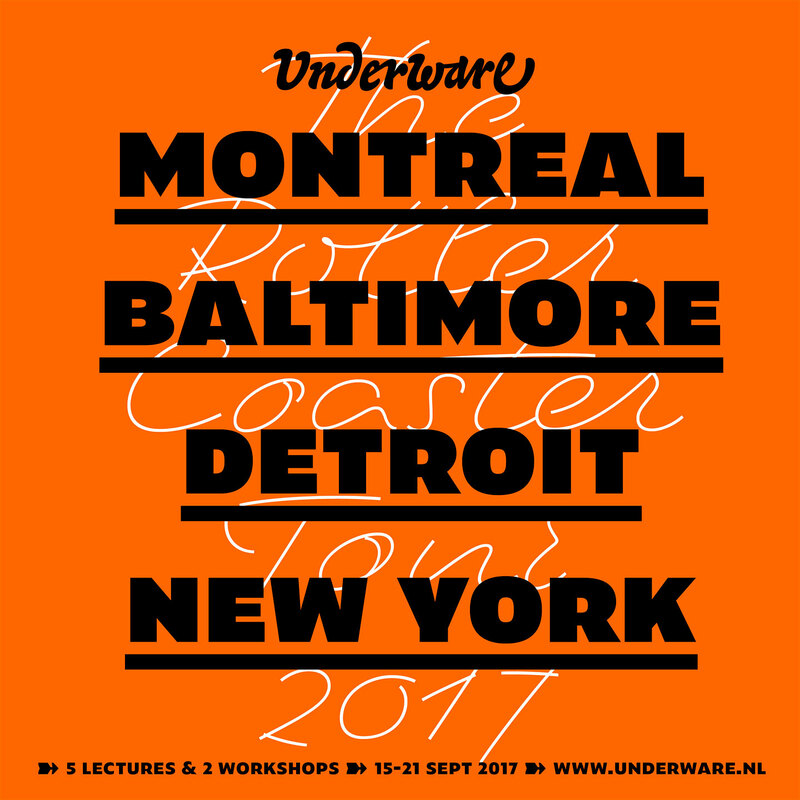 Montreal is the host of this year’s ATypI conference, where we will uncover some stories behind our latest font release: Duos. Although a font should speak for itself, not all functionalities might be clear at a first glimpse. Especially not when visual communication isn’t always univocal anymore. This in-depth insight into the making of this font family will show that every story has two sides. Together with students from MICA we’re gonna explore new visual territories in this process orientated design workshop. Indeed, this is a very long title for a very short presentation, but it’s the most appropriate title we could come up with. This year’s Type Nite will be an evening full of short design talks, together with talks by Hilary Greenbaum, Paul Sahre and Abe Burckinson. If you’re in for an eclectic typographic evening, come over. It’s free, and open to the public. Can digital type finally free itself from its static mechanical heritage, and turn into something new? Are fonts becoming apps? Considering that type is just something on which we agreed on with each other, the nature of the written word could also be quite different. Let’s try to extend our notion of type. Because we’re right now at a turning point in typography, one thing is absolutely clear: we have to continue exploring new possibilities. Enough is not enough. In contradiction to the short lecture at Type Nite, this longer lecture offers the possibility to go deeper into typeface design, as well as variable fonts, subpixel ASCII, responsive typography, polyletters & other things type could be. This even is open to the public. Tickets available at the TDC. Together with students from CSS we’re gonna explore new visual territories in this process orientated design workshop.